If you aren’t familiar with some of these websites, here is a little bit of information about them so you can decide which ones you can connect with us. Facebook – Majority of people are on Facebook, so there’s no need to explain what it is. However, if you don’t know what it is, it’s a site where you can connect with friends and family. For your personal page you can post what you are doing, post photos and share with friends. 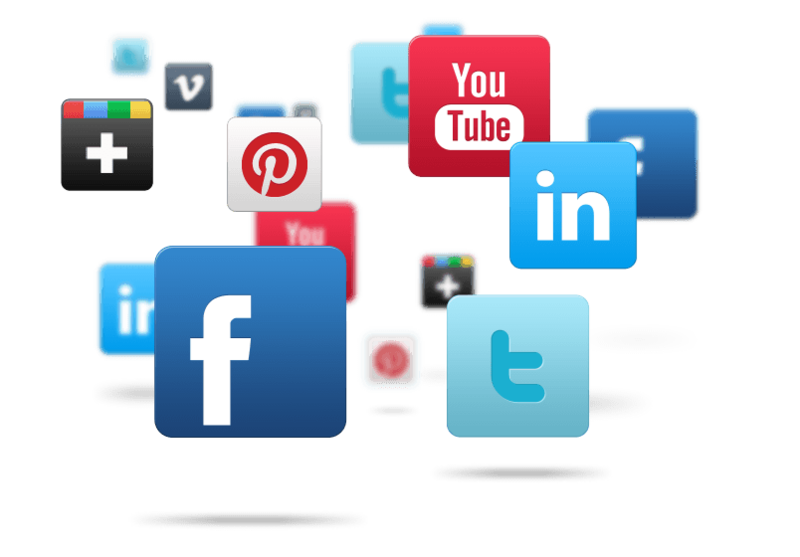 Businesses can post information about their company, and share new products and information. Twitter is basically 140 character update on what you are doing. You can share links to sites, or anything else you’d like to share with others. You can also post photos through twit pic and owl.y, as well as instagram. Though instagram photos are now only shown through links instead of being shown underneath your post. Instagram is a phone based application or “app” that you can take photos with your phone and post to the application. Originally it was iphone based only, but now android phones are now able to use this app. Photos can be loaded on instagram, or taken with your phone. They now have it available so that you can view your instagram page online. This makes it convenient for friends and family that you want to see your instagram photos. Pinterest is a online “pin” board for your ideas or inspiration. It’s great to post your favorite things, recipes, ideas or anything else you like to save. Let’s say it’s like a visual bookmarking page. When you see an image online you like, you “pin it” to your folder on your page. You can organize like items together in folders. 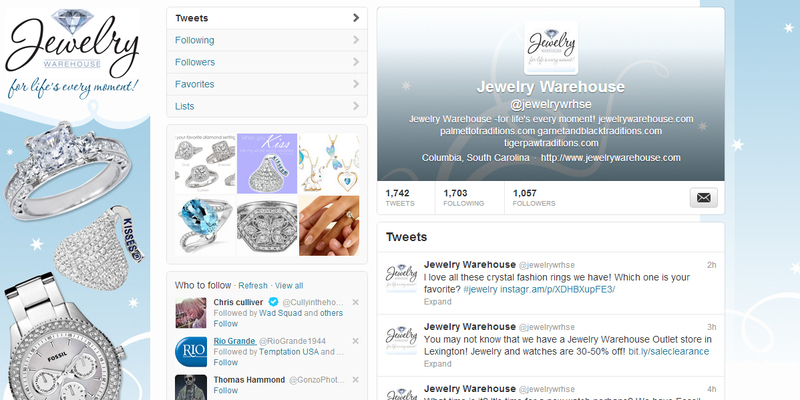 To pin something, click on “about” at the top of your page, and drag the “pit it button” to your toolbar on your browser. This makes it easy to pin items that you like, not just re-pinning others images on the site. You can also just “like” an image that you see on pinterest, if you don’t want to pin it to your board. Polyvore is a great way to collage similar or like items together. A lot of people use this website to make online “scrapbook” type images for their blog or just for fun. Google+ is similar to facebook, but some say that it won’t ever catch up to the popularity. Most people use the site to post the same information that they have on facebook. Others use it because they no longer like to use facebook, but still want to keep up with information. YouTube is a video website. We use this mostly to showcase our commercials. Vine is the newest application that we are on. This application, which is by Twitter, lets you make short videos up to 6 seconds long. Only 6 seconds? Having a short video like this, makes you able to post a quick behind the scenes look at new products or other things. It’s a fun new way to show videos. The only way to see our videos on Vine is to connect with us on the Vine app through your iphone. Sometimes we post these videos on our twitter page too. 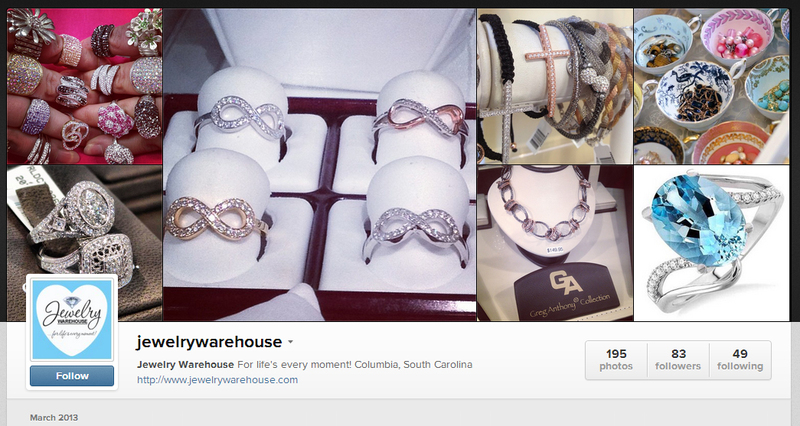 Search for Jewelry Warehouse on Vine to find us. So be sure and connect with us! We post daily and weekly on these websites and we’d like to see you there! This entry was posted in Jewelry, Jewelry News, Uncategorized and tagged facebook, instagram, Jewelry, jewelry warehouse social media, pinterest, polyvore, social media, twitter. Bookmark the permalink.